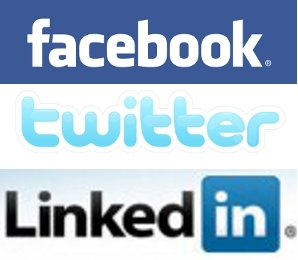 Best way of managing all your Facebook, Twitter, LinkedIn accounts! As I met a friend today in the office, he asked why i was opening a lot of tabs in my Google Chrome. I told him that i had so many social networks accounts that needed to be updated. I have been having problems managing all my Twitter accounts (and they are many of them) Facebook account, LinkedIn account all at once! So when he informed me about an certain application that was going to make my life much easier, I thought to myself that I should share this with all Techweez readers. Since I installed this application, I have been able to manage my social network accounts (efficiently & effectively) from the comfort of my desktop! Link with other social networks e.g. Twitter, Facebook, Myspace and LinkedIn. However, the Tweetdeck application has its short coming because sometimes you can miss out in some of the tweet or mention that didn’t appear on the Tweetdeck. Previous articleAngry birds, i didnt do games before…but! You havent used hootsuite, you dont know anything yet. Tweetdeck being a flash application, is abit slow, bt hootsuite will allow you to use even two twitter or facebook accounts at a go. Thanks Evans for that insight, I will have a look at hootsuite then do a comparison! I can see that hootsuite is popular! I have just registered Hootsuite and I can admit that it is very easy to use and the best part I can access my fan pages. However, it limits you to just 5 accounts!